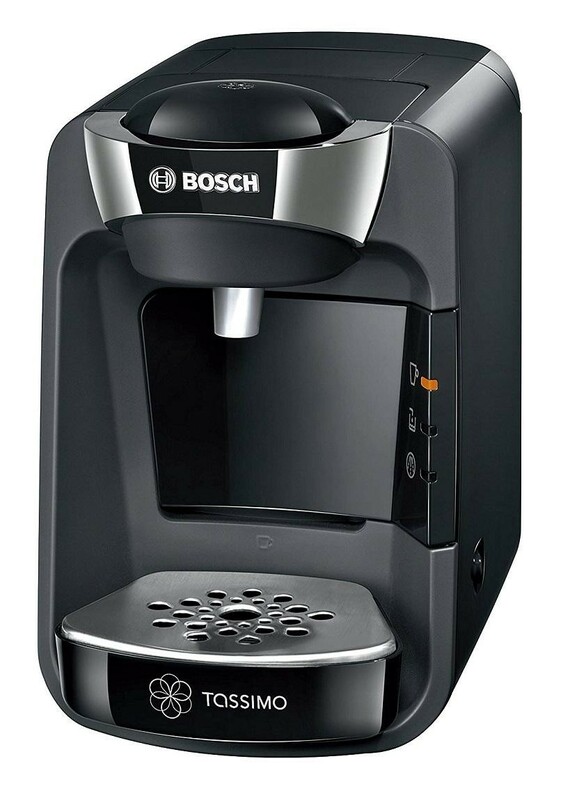 The Bosch Tassimo Suny TAS3202GB Hot Drink Machine is a great kitchen appliance for people who love delicious hot drinks, each T Disc has a barcode, which contains information about the amount of water, brewing time and the precise temperature that is needed to make it. The machine scans the T DISC barcode and prepares every cup just right, every time. The enhanced heating technology means there's virtually no heat-up time, so you can brew your drink right away and the cup stand height can be adjusted to small, medium and large cups, for very large cups or travel mugs the cup stand can be removed completely. The 0.8 Litre capacity water tank can be easily removed for refill. During operation, extra water can be added by removing the lid of the water tank.